LAS VEGAS, NV (October 9th, 2018)– Best in the Desert, the largest off-road race series in North America, today confirmed for the first time since 2011 the world famous “Laughlin Leap ” will be held at the upcoming Method Wheels Laughlin Desert Classic by Polaris scheduled for Oct. 11-15, 2018 in Laughlin, NV. Suspension leader Fabtech has signed on to be the presenting sponsor of the “Laughlin Leap by Fabtech”, which will be held on Saturday evening Oct. 13th at 7:00 pm. The “Laughlin Leap by Fabtech” is open to all classes and with $10,000 in prize money and other awards up for grabs, it’s sure to elevate the level of excitement and spectacle for everyone in attendance. For the UTV, car and truck race itself, more than 210 race teams have signed up to compete in this exciting event. Bring your family and friends, and for a small donation to the Laughlin Chamber of Commerce, see the superstars of the sport showcase their talents and magnificent vehicles. The “Laughlin Leap by Fabtech” will be held in the infield track section in the main pit area. Staging is set for 6:30 pm Saturday night with competition starting at 7:00 pm. Safety suits and helmets required. Passengers are optional. Open to all Car, Truck and UTVs. 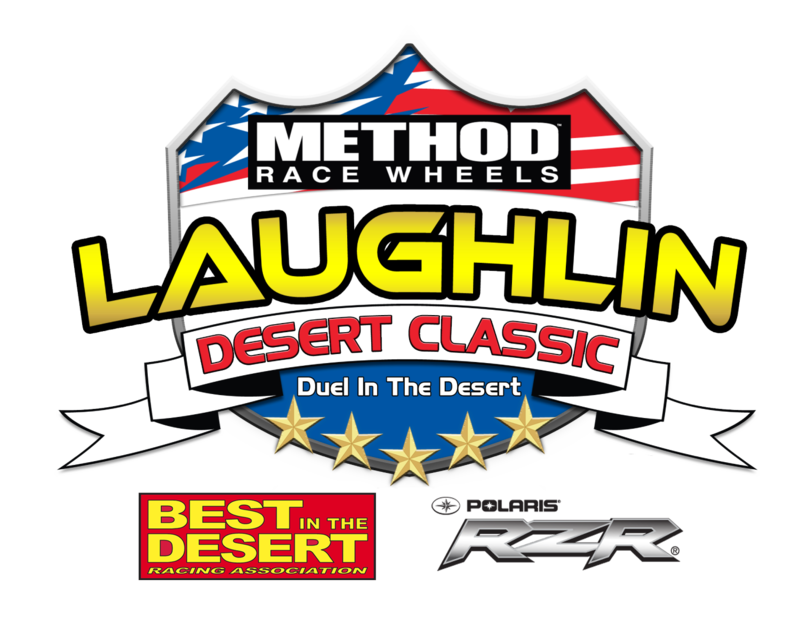 Entry forms can be found on the BITD website on the Method Wheels Laughlin Desert Classic by Polaris Event Info page. Race fans have the chance to check out the race vehicles up close and see the latest racing and off-road accessories on display in contingency row in the Tropicana Parking Lot. You can also follow the action of the Lucas Oil Production Studios broadcasts of Best In The Desert events on the NBC Sports Network and MAVTV. 2018 Best In The Desert official sponsors: Ford Motor Company – Official Truck, General Tire – Official Tire, Lucas Oil Products – Official Oil, Sunoco Race Fuels – Official Fuel, Rugged Radios – Official Communications, Fabtech – Official Suspension, Polaris RZR – Official UTV, KC HiLiTES – Official Light, Beta Motorcycles – Official Motorcycle, Method Race Wheels, Tactical Recovery Equipment, Trophy Tractor, R-N-R Steel, Dicks Racing Suspension, Slime, McKenzies, Sportsman Cycle Sales, Fall Advertising and True Travel Dynamics. Contingency photo provided by DirtFocus. THE USE OF DRONES WILL NOT BE ALLOWED AT ANY BEST IN THE DESERT EVENT. Please be aware, Drones are VERY DANGEROUS to the safety of all concerned, both people in the air and on the ground.